Effective natural herbal remedies for colds with smooth, but fast effects and no anticholinergic side effects such as sedation/ grogginess, dry mouth, or constipation. The remarkable clinical fact is that if eastern herbal formula is used early enough, then the cold may be cured overnight after the diaphoresis ( sweating ) is induced by the herbs. Natural Herbal Remedies drive our the pathogenic factors ( which are not only the viruses, but also sudden exposures to cold or damp enviroments, enabling the invasion ) out of the layers of our system by enhancing the immunological functions, regulating the lung and gastrointestinal functions, and enabling the neurohormonal responses. There are no drugs that shorten the duration of illnesses in this category, but natural herbal remedies for cold in formulas will. The key herbs expel " wind pathogens" out of exterior layer of our system partly by promoting sweating and enhancing the defensive Qi, and prevent the pathogens from further invading into the inner organs ( i.e. Prevents pneumonia or disseminated infections ). 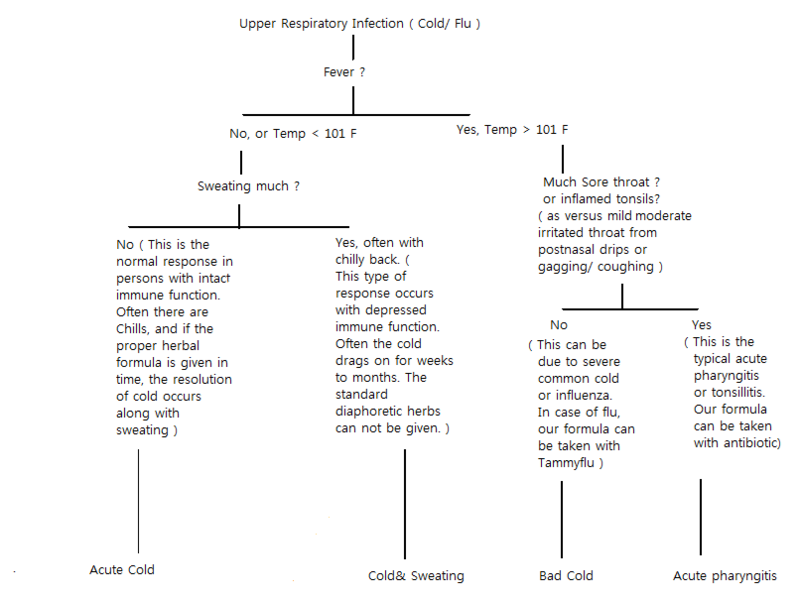 The following algorithm displays the most common syndromes of upper respiratory infection. 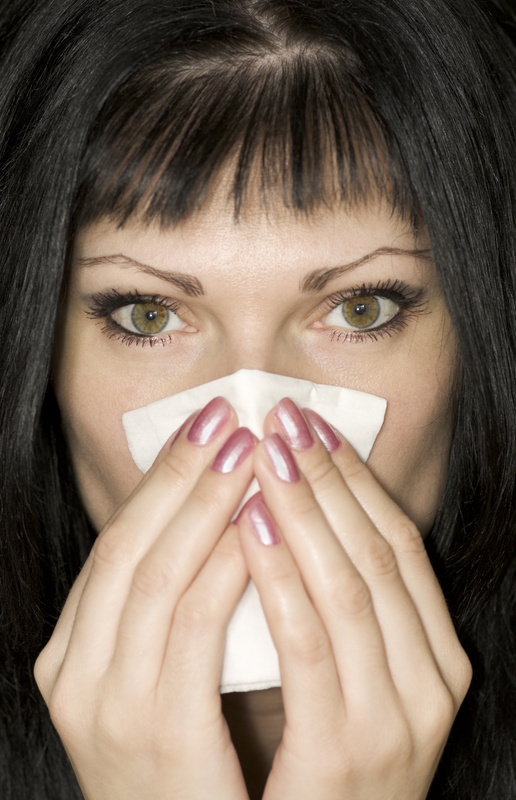 These formulas may be taken 6 capsules 3 to 4 times daily until the symptoms are over.